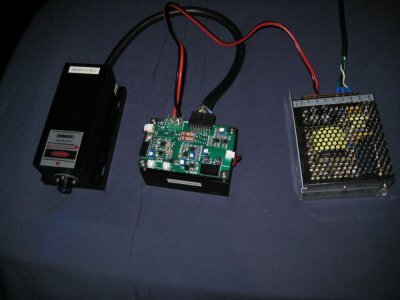 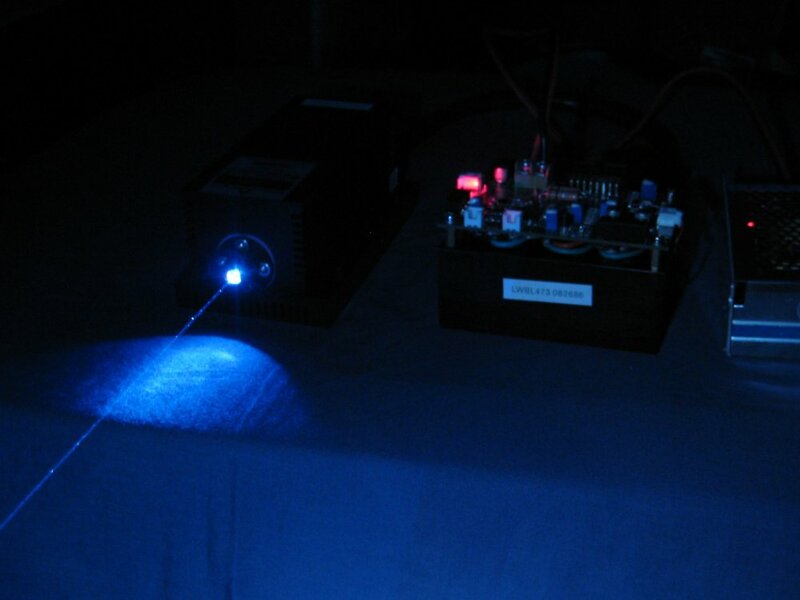 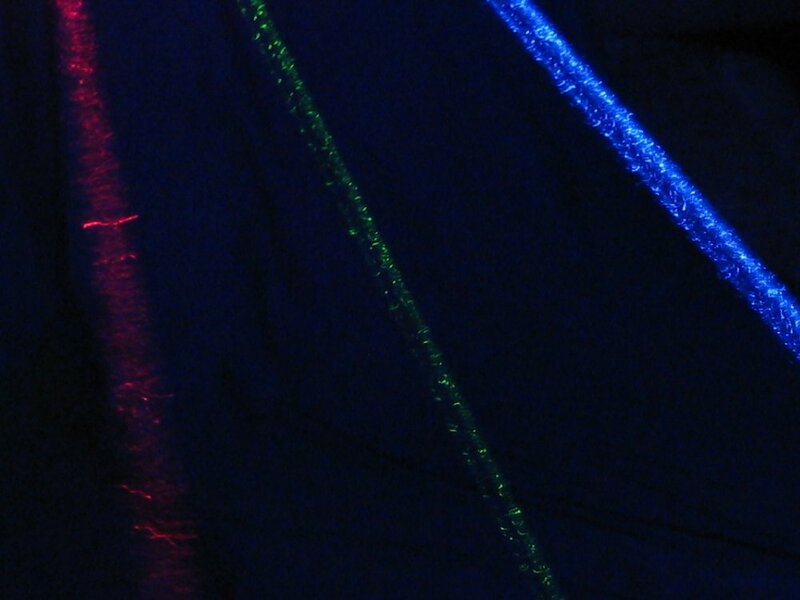 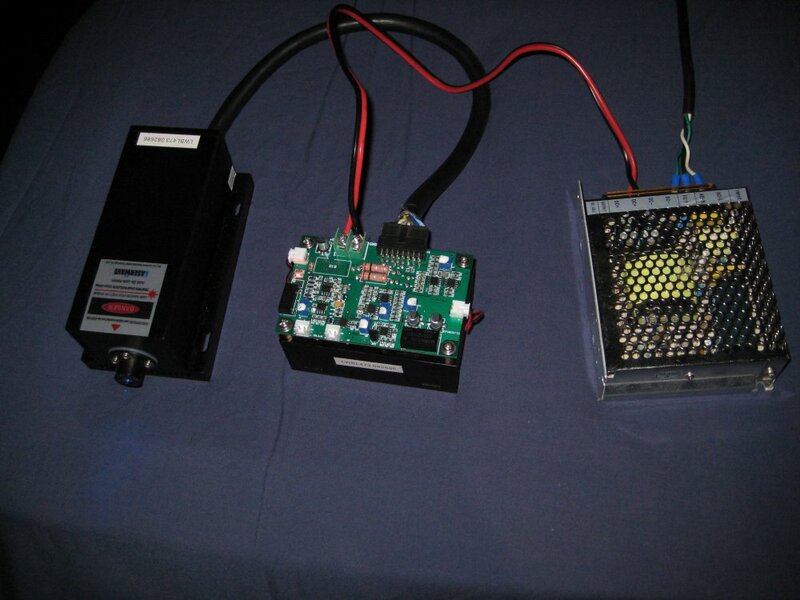 This laser was designed for doing things like laser shows and the likes, and puts out ~450mW of 473nm light. 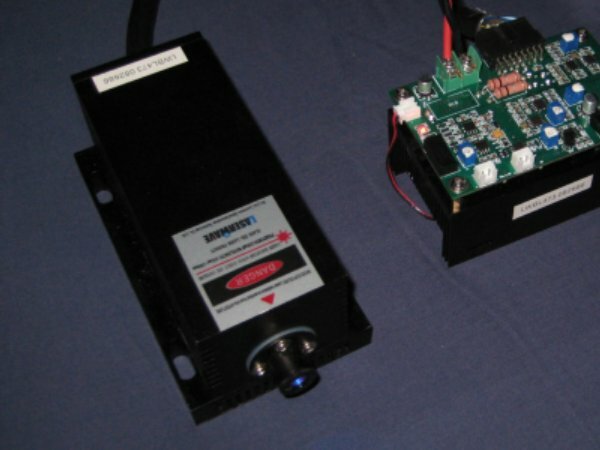 It works great for its purpose (which is predominantly laser show applications), and the analog modulation is surprisingly linear--but then again for its $3500 retail price one would expect it to be a dang good laser! 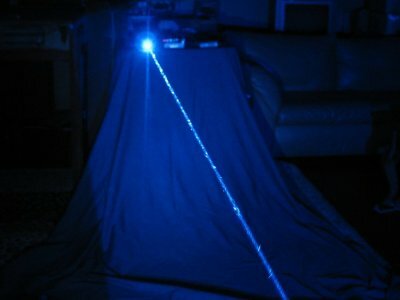 A shot of the beam, and it combined with 250mw of 632nm and 50mw of 532nm.